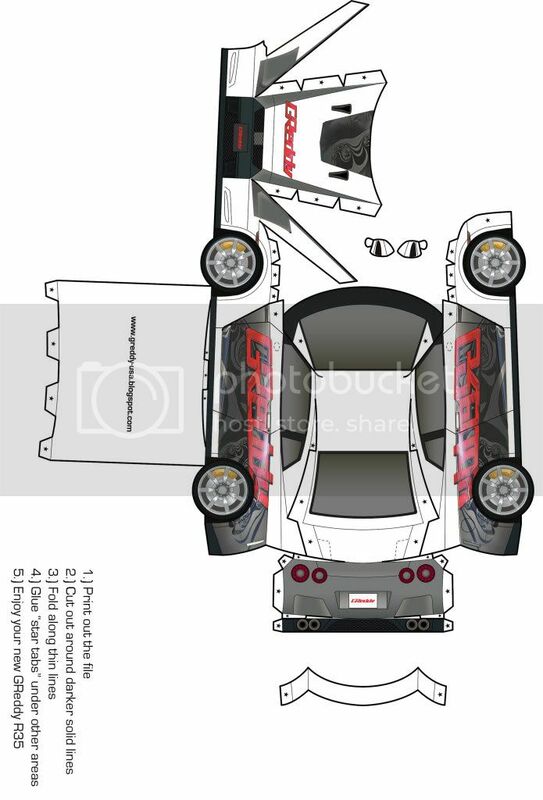 Welcome to the official GReddy USA blog. -Think of this as our online weekly "GReddy Times," a venue for us to report what's going on or what just happened at GReddy USA this week (new products, new projects, racing news, even online store specials.) On our blog you can see what we are up to in the GReddy Sales floor, R&D garage, on the road or even from our Headquarters in Japan. With the included pre-welded Titanium 2-bolt flange and additional stainless-steel flange and stainless steel muffler canister mounting bracket, you do not have to be able to weld Titanium to have a custom Titanium muffler exhaust system. Just weld onto the provided stainless-steel flange and canister mounting bracket. 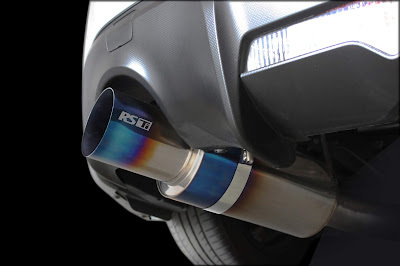 GPP Universal RS-Ti Titanium Muffler and Tip sets create new lightweight options for creating your own custom full Ti or hybrid Ti/steel exhaust system. 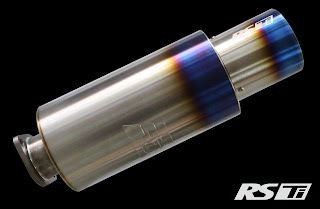 In addition to the Titanium RS Muffler canister and tip, each kit includes a stainless-steel muffler mounting-band (to weld on mounting hangers), pre-welded titanium inlet pipe and 2-bolt Ti flange, as well as a matching composite gasket and stainless-steel 2-bolt flange (to adapt the kit to steel piping.) The kits are available in a 3.0” (76mm) and 2.5” (63.5mm) piping sizes. Our signature high quality, straight-through, universal RS racing sport muffler design offers exceptional flow with a clean, yet aggressive exhaust note. And with the RS Tri-bolt removable Tip, optional RS inner tip silencers and tips can be purchased separately for even more customization. also Follow us on Twitter! Click on image, then Click on image again to enlarge before printing. GReddy Performance Products, Inc.. Awesome Inc. theme. Powered by Blogger.